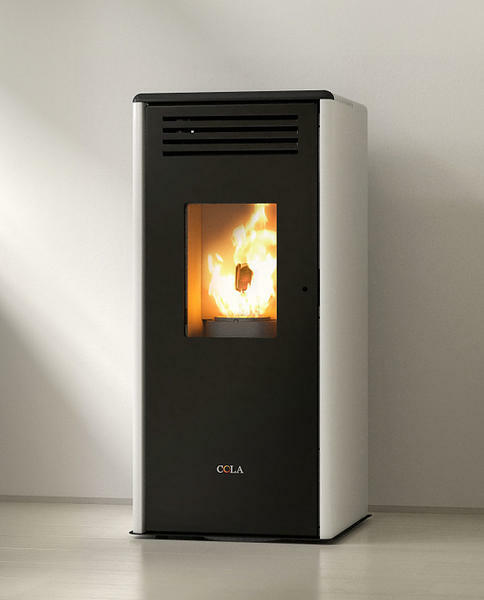 Ventilated pellet air stove with top and front in ceramic, varnished steel coating and cast iron black varnished door. Pre-heated air intake, three tangential fan and cast iron brazier with post combustion. Removable ash box and removable door handle. Available in three colours. 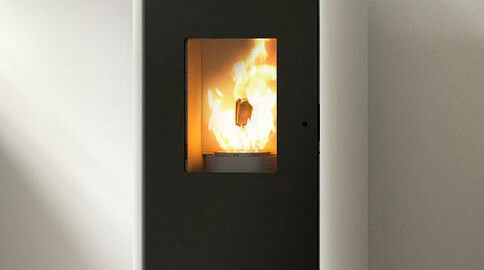 The Smart air stove is DEFRA exempt.